Flygas has designed and developed a new cylinder head high performance and reliability for the Subaru EA81 engine. 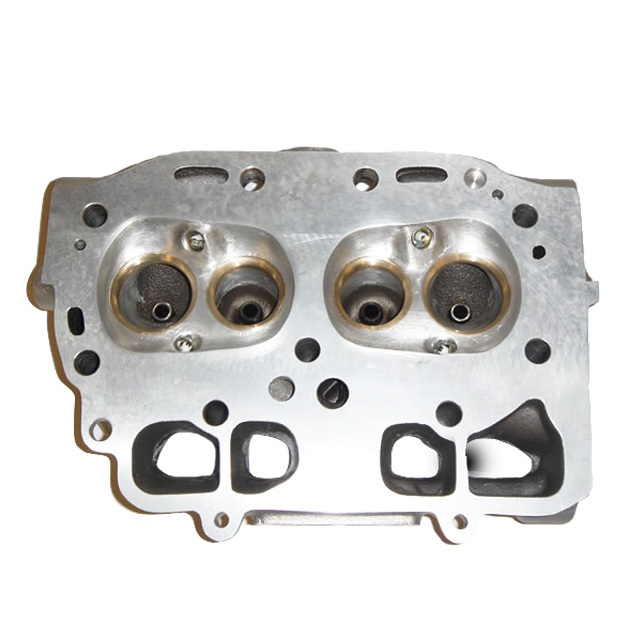 The new head is die-cast in G-9-AllSi designed to increase engine performance by increasing the reliability. The new cylinder head has the intake and exhaust manifold separate and increase its dimension, two spark plugs per cylinder in opposite position which ensures and improved combustion, increased intake valves diameter, ready for installation injectors of indirect or direct injection and ring valves in special bronze alloy. 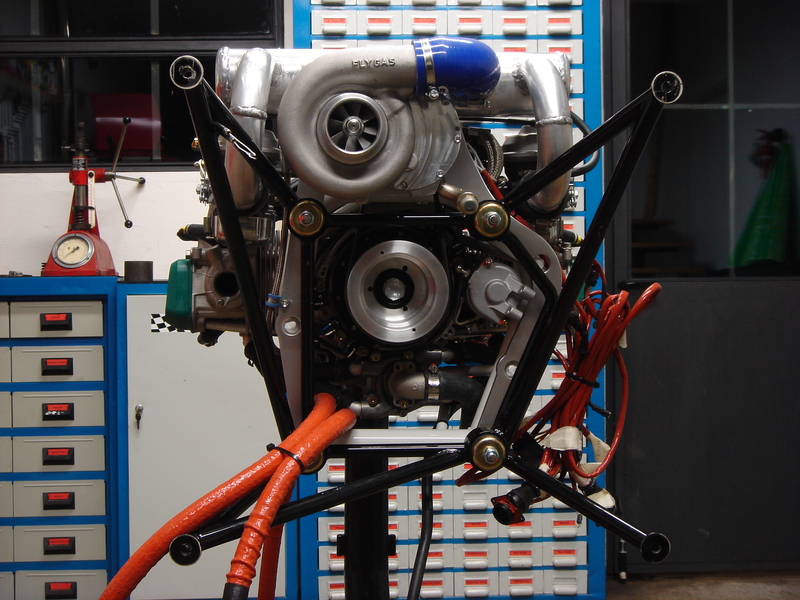 The performance increase is estimated at +20%. 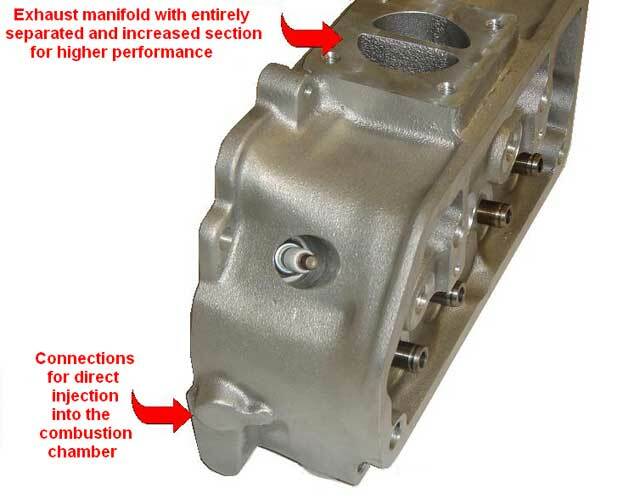 The installation of the heads and the possible bench test is performed within 30 days of order confirmation. 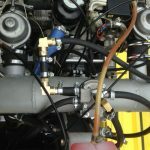 FlyGas provides technical support for installation and / or for any clarification. 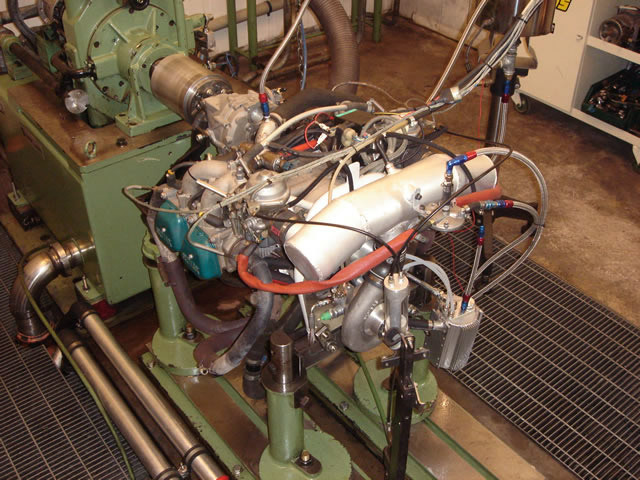 It is also possible to arrange for sales assistance and verification engine with a data acquisition system for the first test. 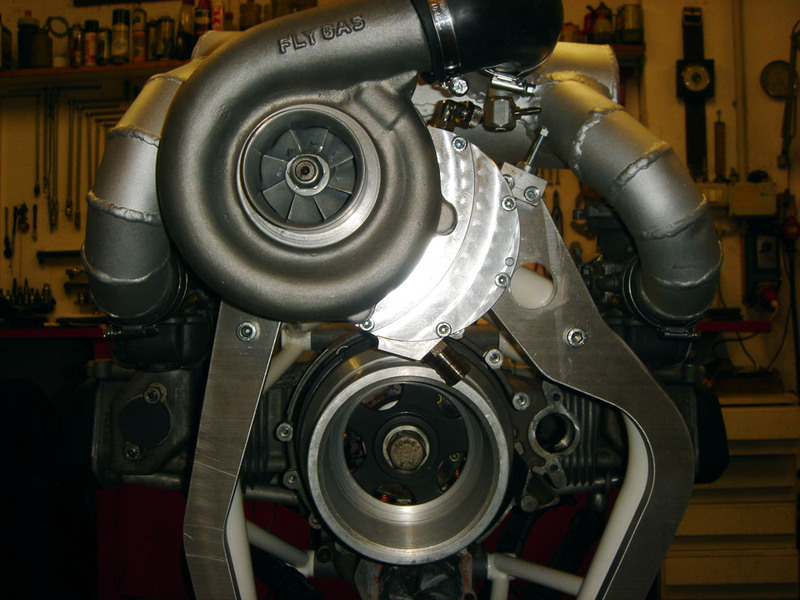 Moore Power, Fasted and acceleration. 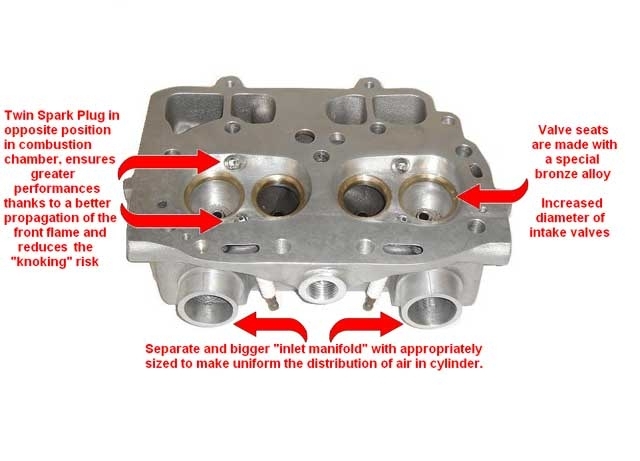 Do not affect the reliability of your Subaru engine. 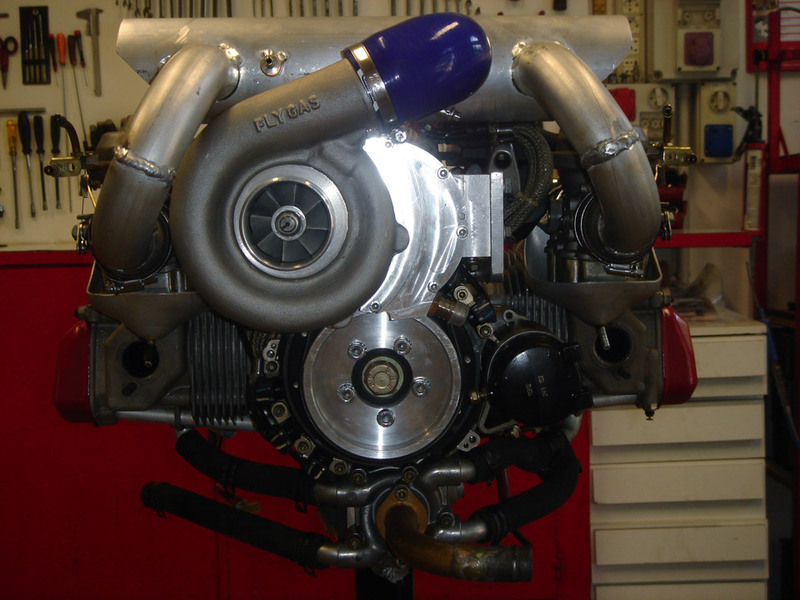 Boost performance with ours intake manifold system. 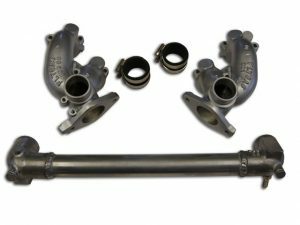 We are pleased to present the FLYGAS INTAKE MANIFOLDS KIT which improves engine capabilities and reduces operation risk. 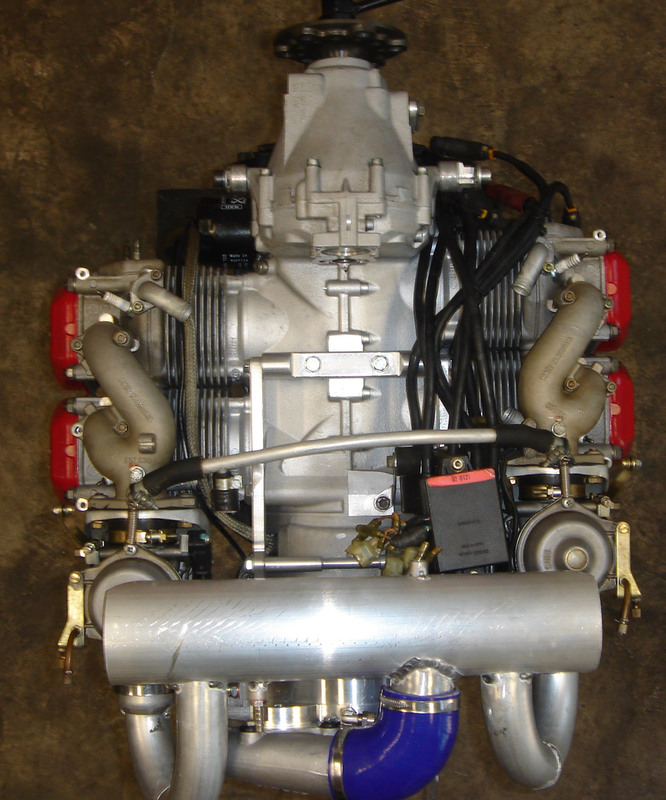 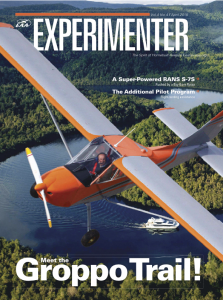 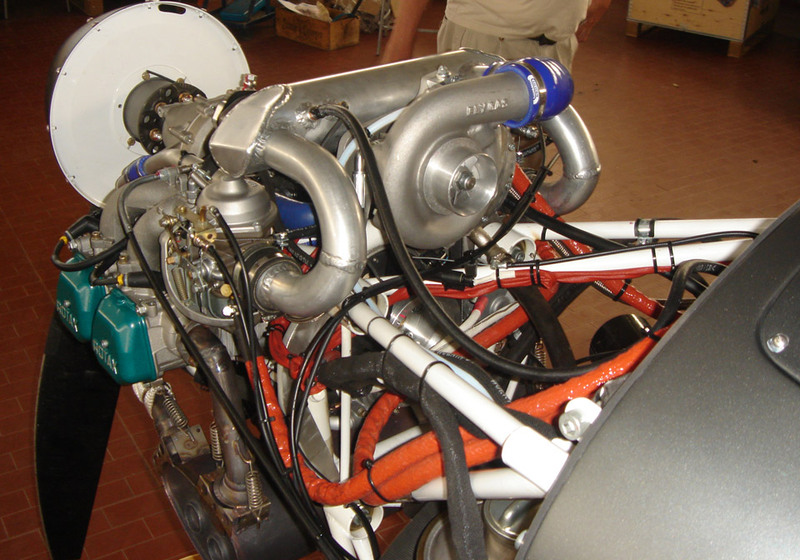 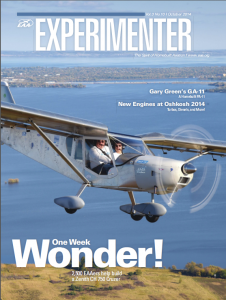 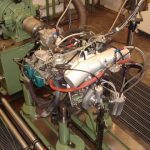 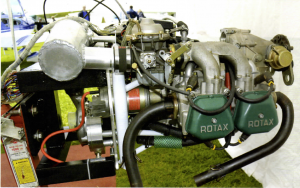 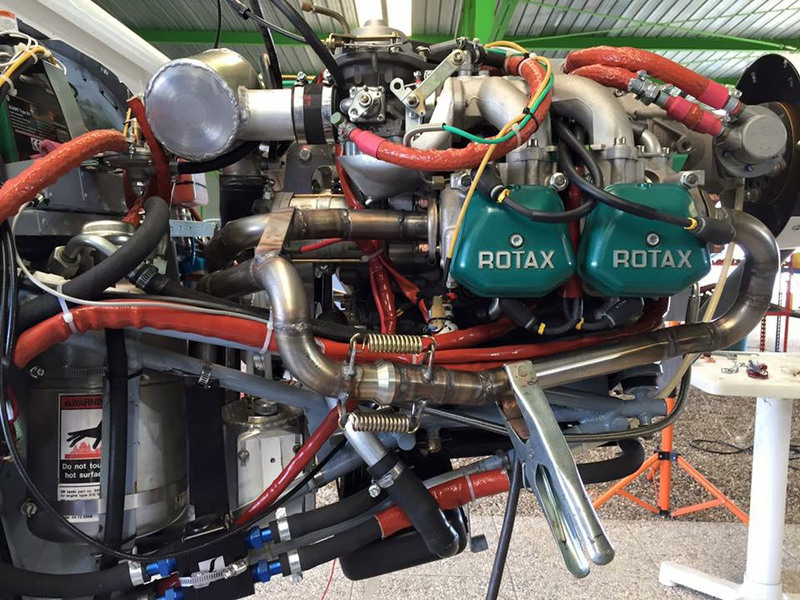 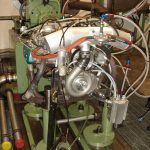 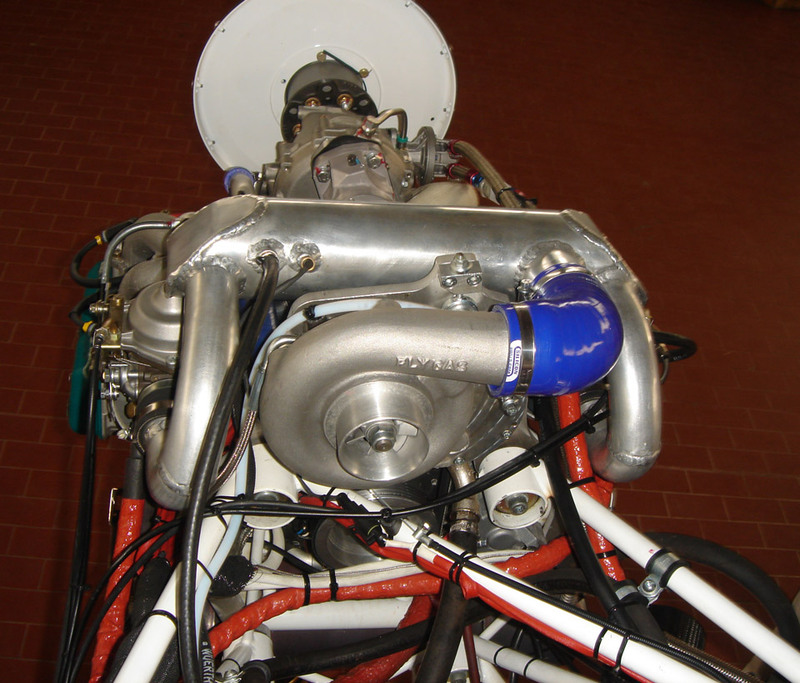 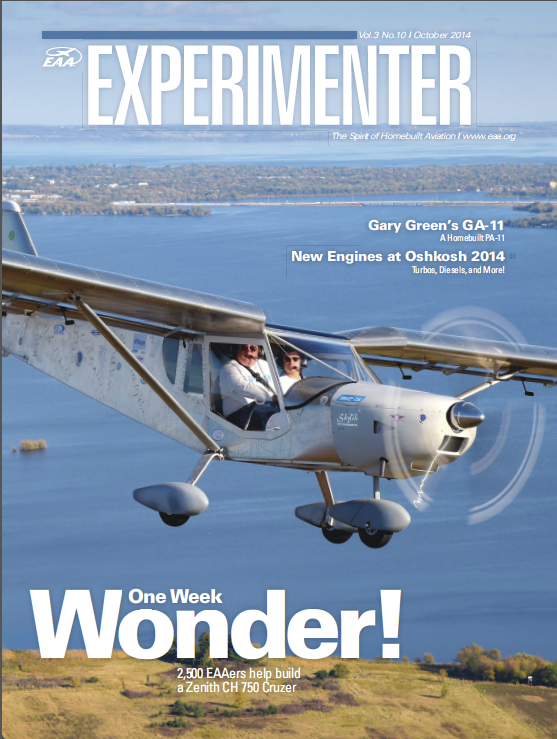 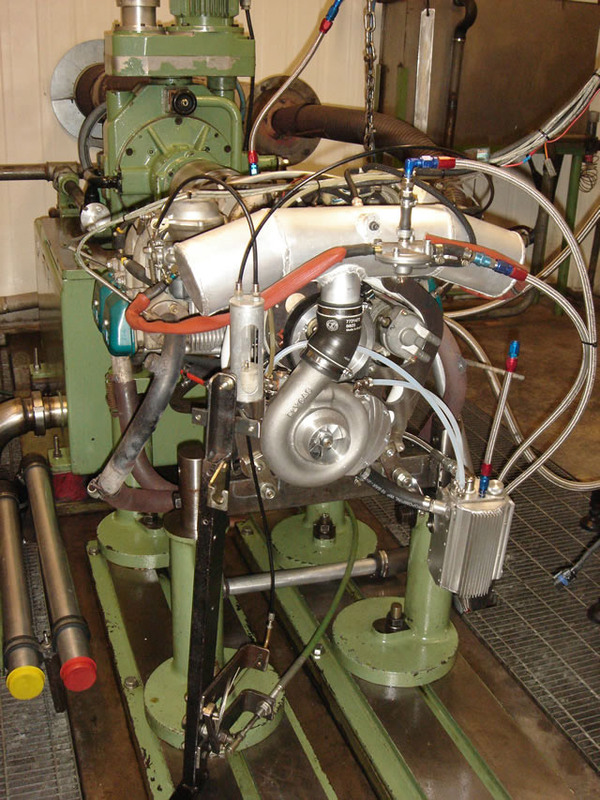 Ideal solution for boosting the ROTAX engine of the ULM (ultra light airplane.) 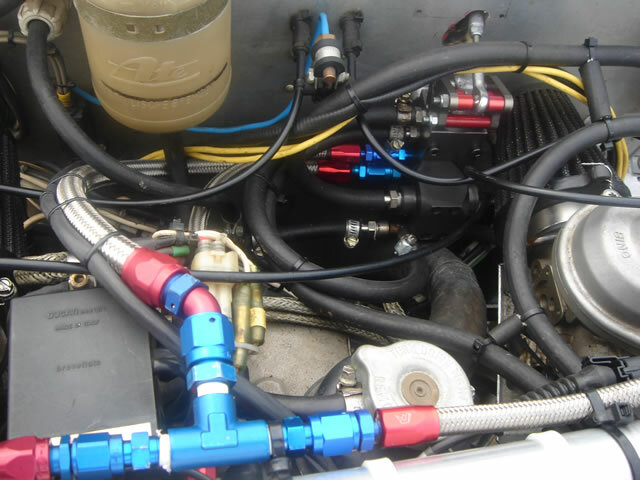 No need of any modification to install it! 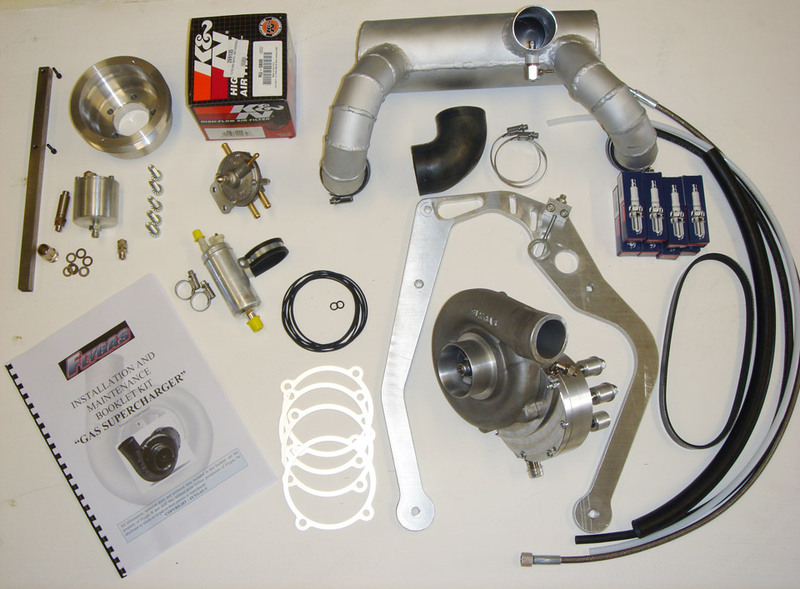 This system has been specially designed and calibrated and is complete with all accessories needed for assembly. 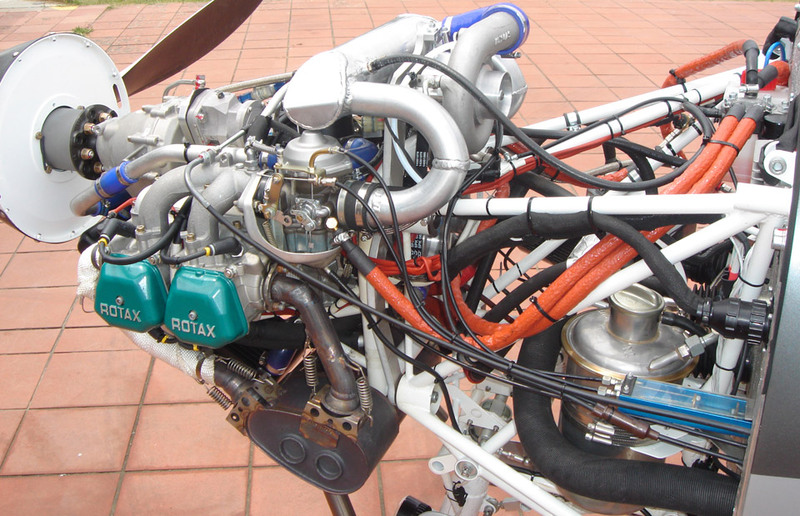 The Ultra-light Airplanes are typically driven by a 4 stroke engine, “Rotax 912” type. 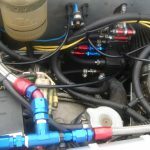 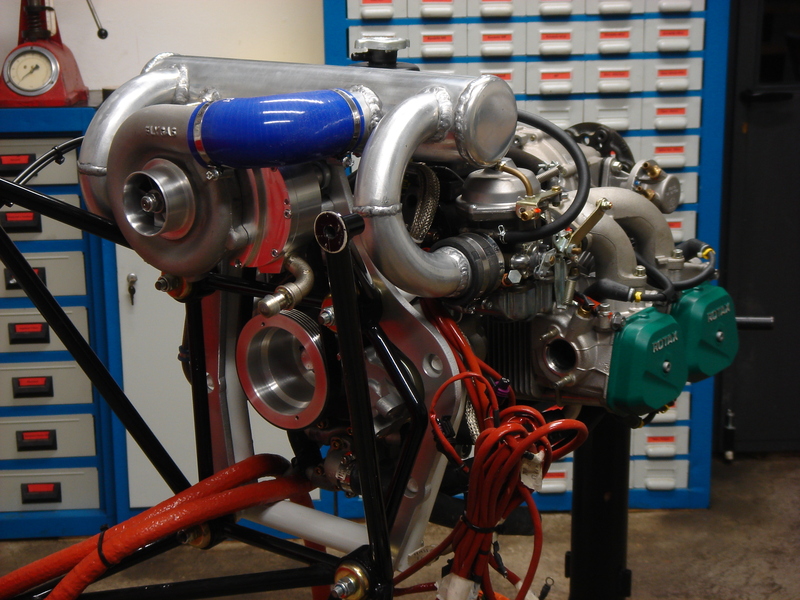 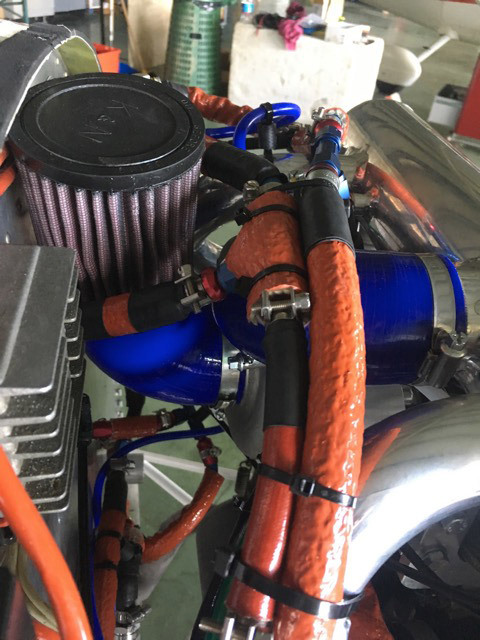 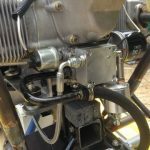 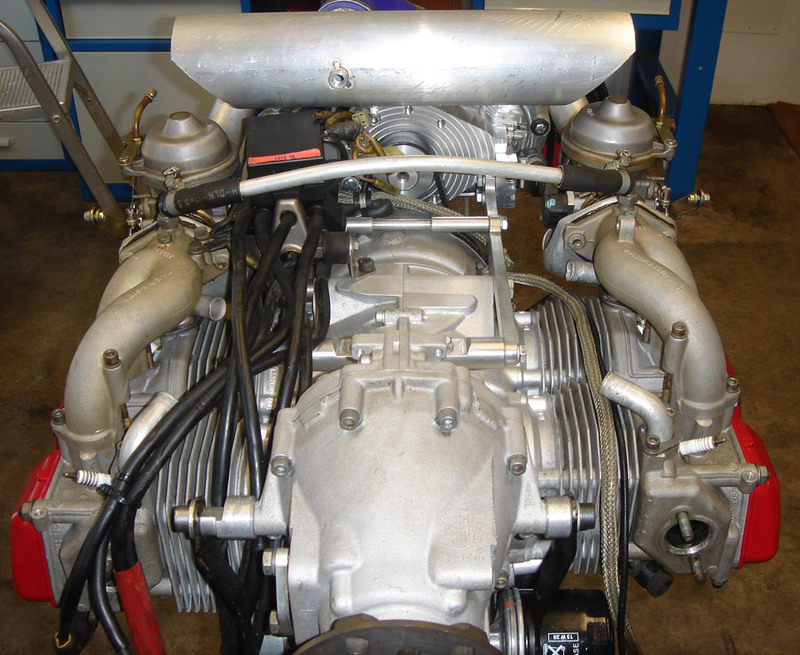 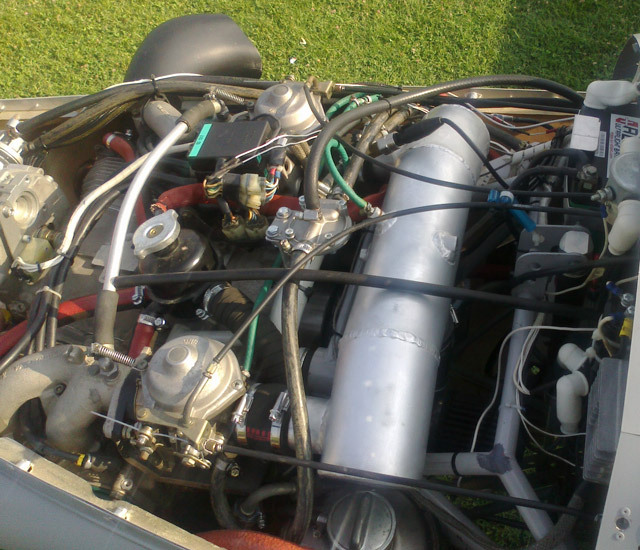 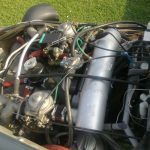 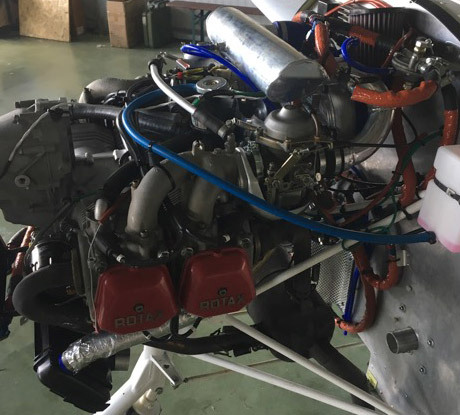 This type of engine is reliable, powerful and is a “reduced weight” motor but it still adopts the two independent carburetor connected with too small pipe. 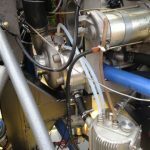 The slight going out of phase of the opening of 2 butterfly valves (usually due to the cables) often creates unpleasant imbalances of the load (i.e. 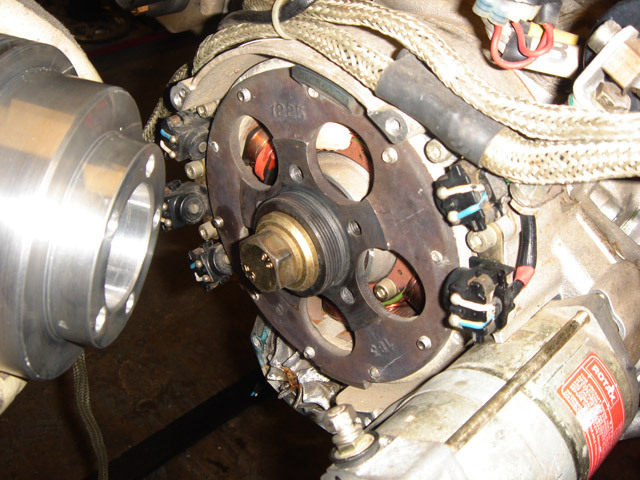 power produced) between the motor banks which generates abnormal and alarming vibrations. 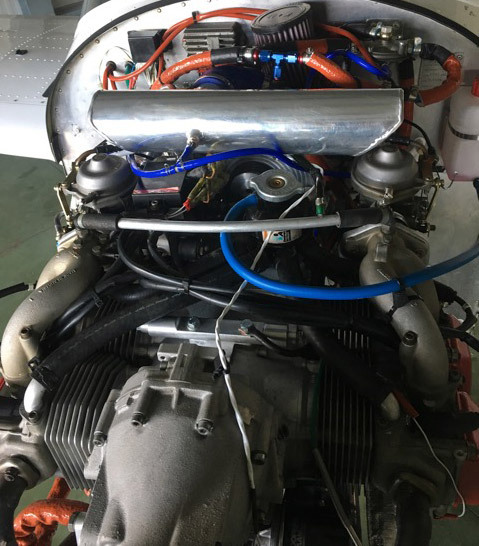 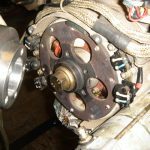 In a case of broke an wire command to one butterfly valve, must switch of the engine, or open also the other carburetor, and going only in full power. 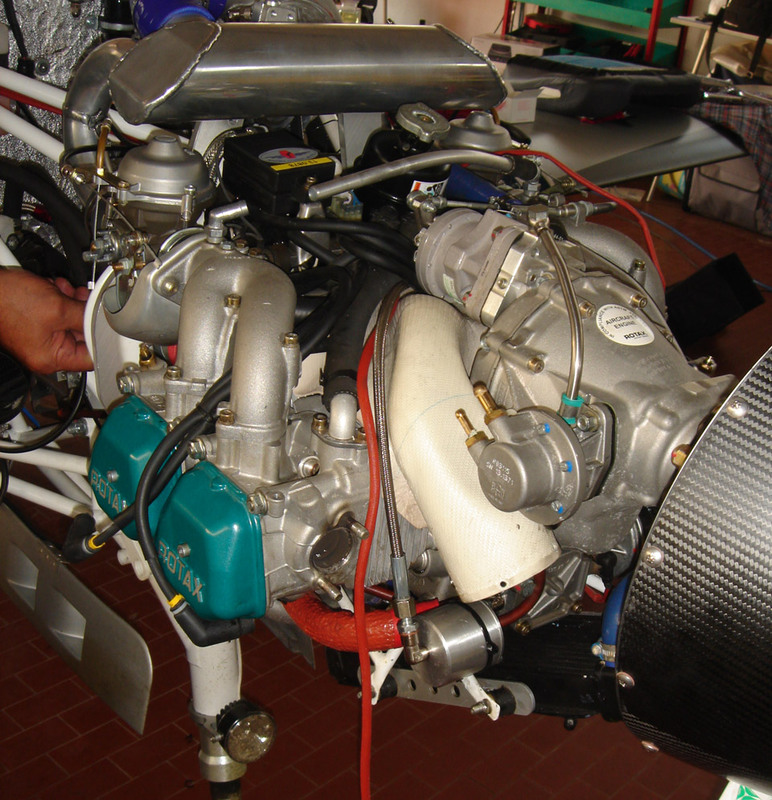 Under 2500 RPM,(during the heating time), the engines made a lot of vibration. 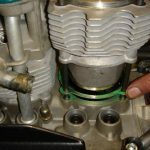 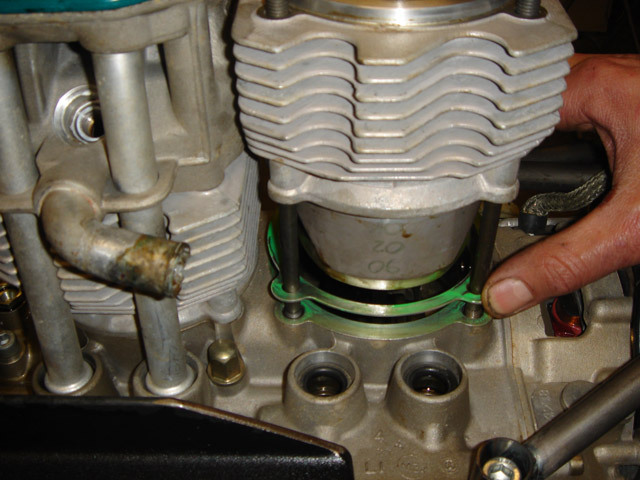 Absence of vibration regardless of the difference in the opening of carburetor. 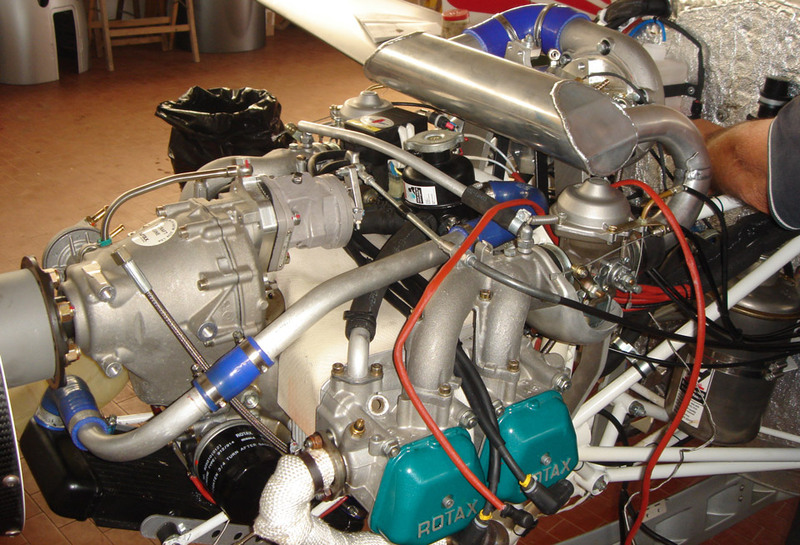 Possibility of continuing to fly (to 50% of power) even in the case of breakage of a wire command of a carburetor. 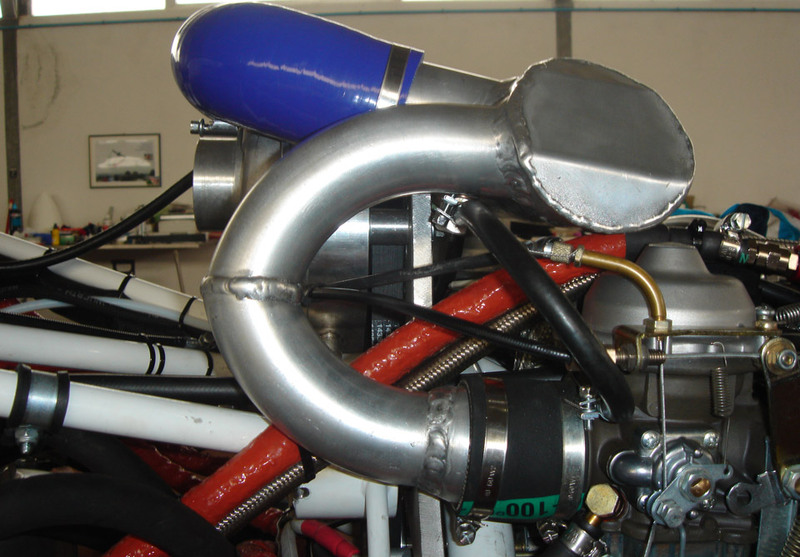 Better balancing equally used cylinders independently from each other. 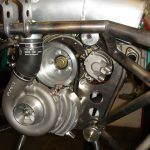 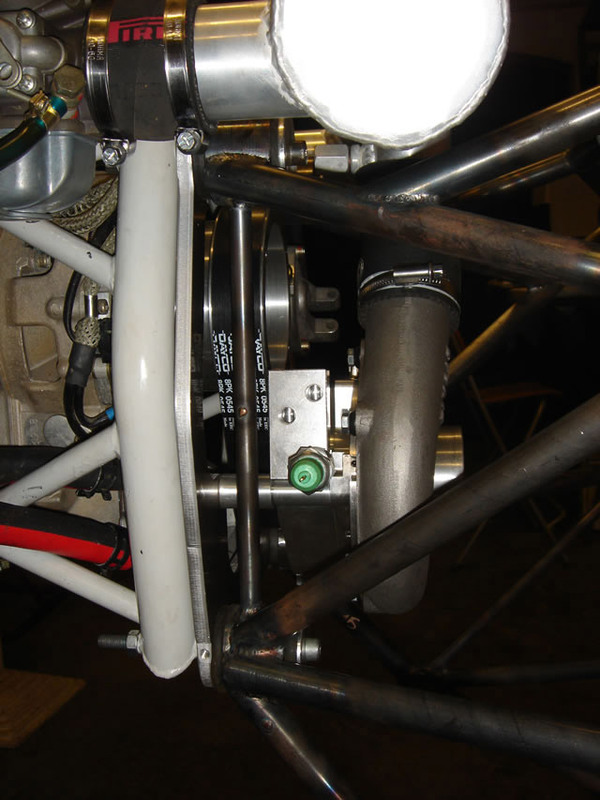 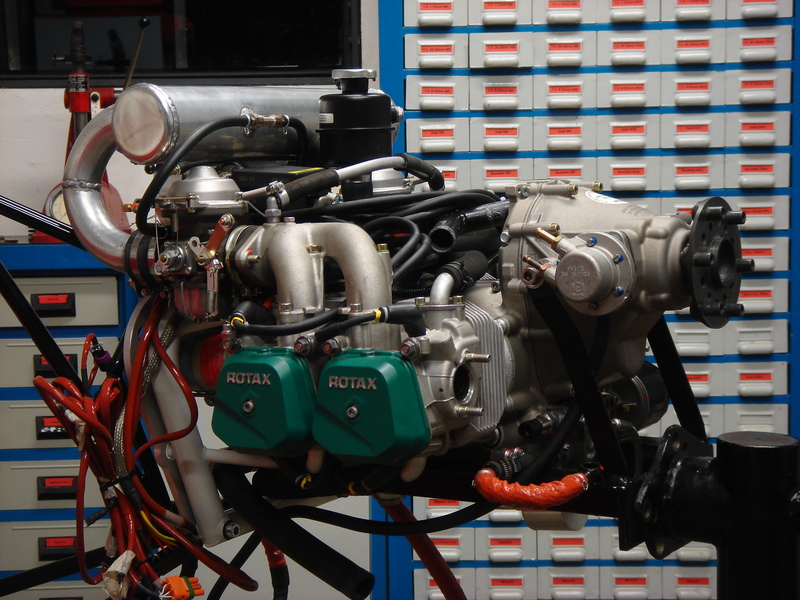 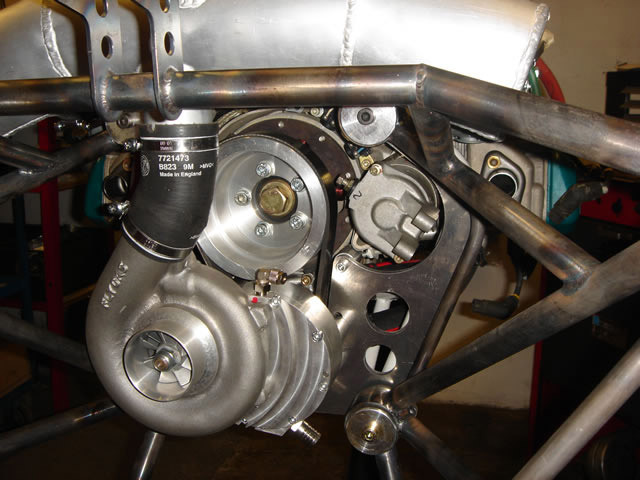 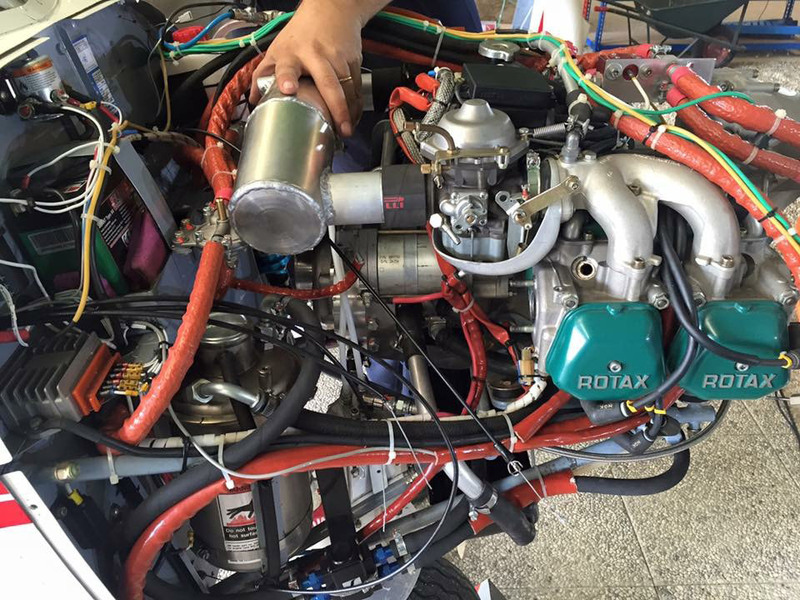 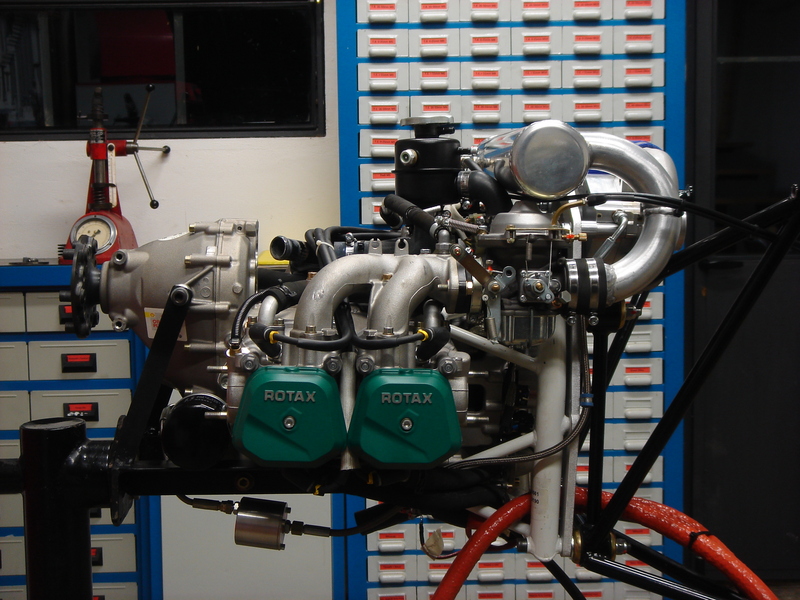 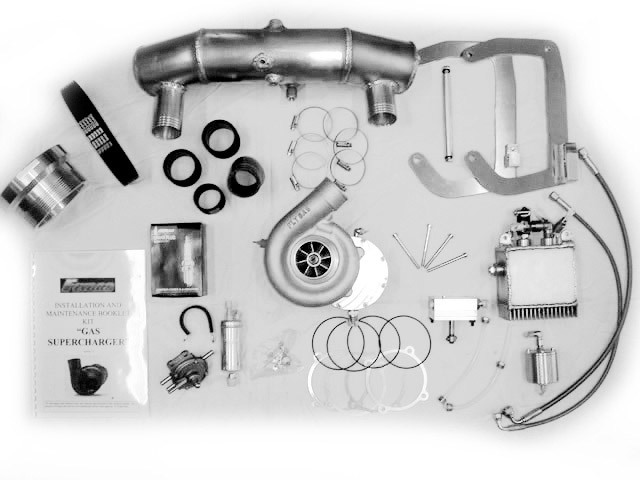 kit, available for Rotax 912 e Rotax 914, has 9 components. 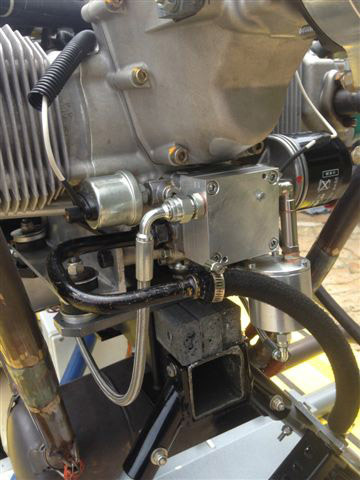 For the first time, you can have on double fuel injection system on board, (Electronic Fuel Injection and Carburettor ). 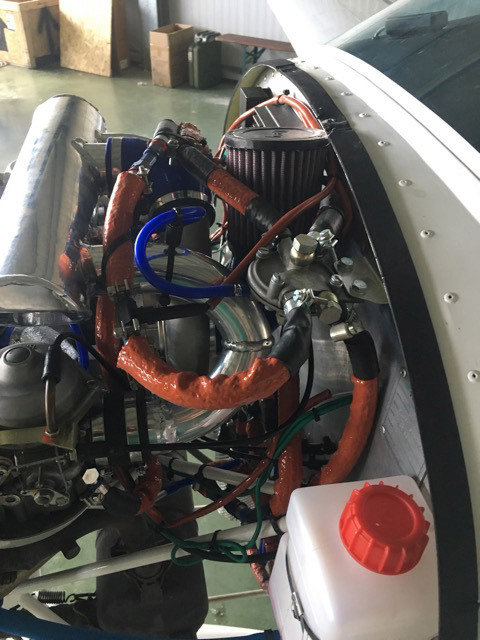 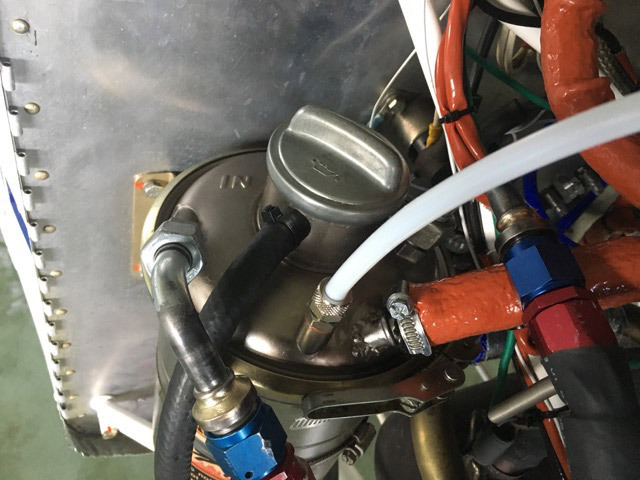 Thanks to our FLYGAS Patented valves, the pilot can decide to change from one to the other system with the simplest and easiest manual operation. 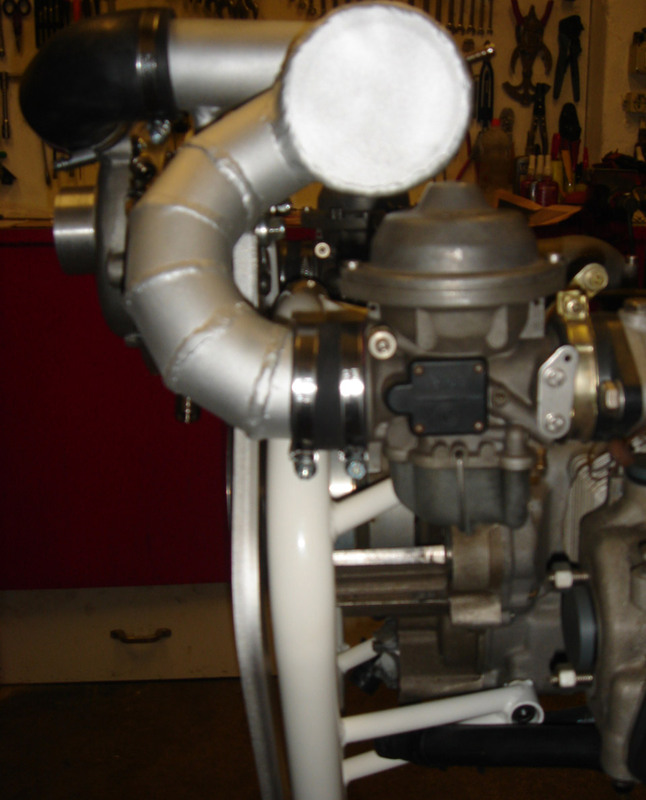 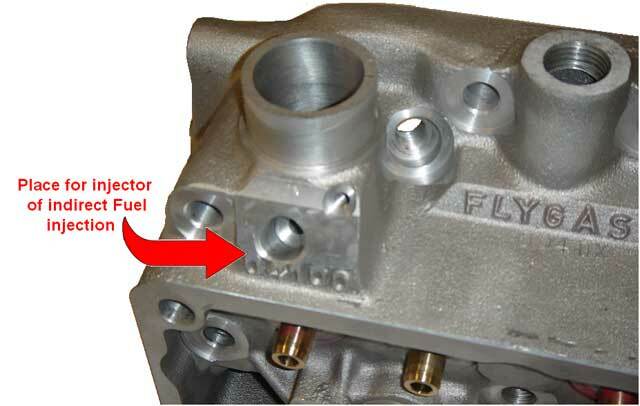 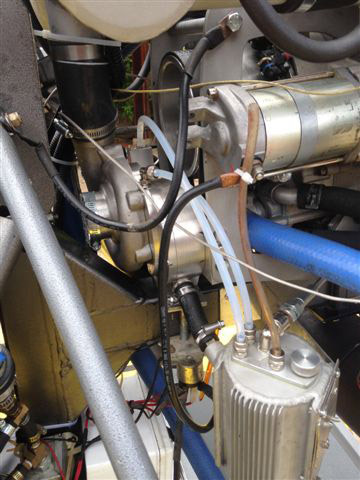 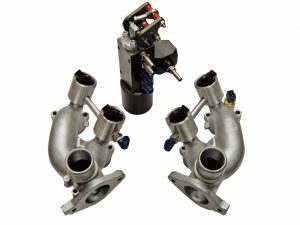 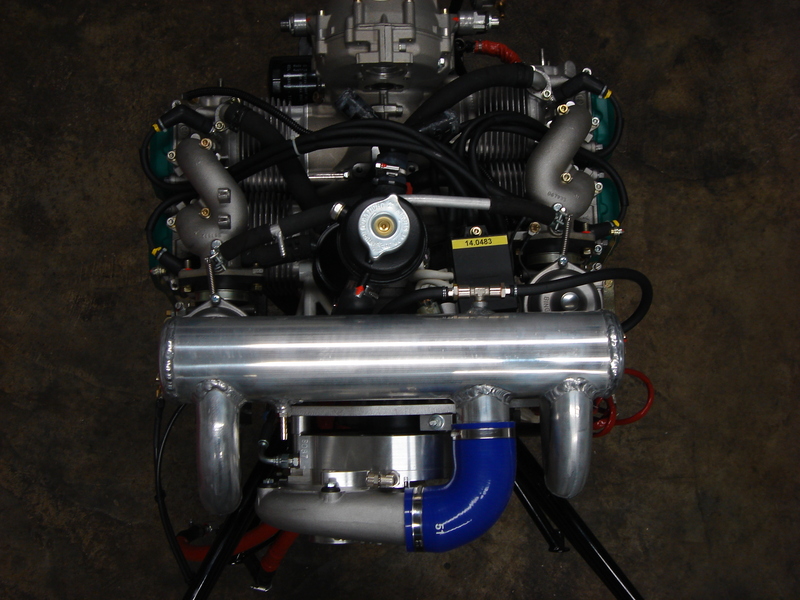 The Electronic Fuel Injection system activated by FLYGAS PATENTED KIT stands as parallel unit to the carburettor. 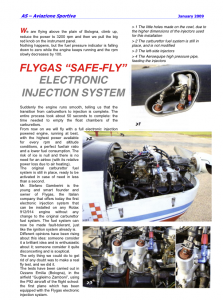 Possibility to have on board extra reserve of fuel, in the unlikely event of no fuel during fly. 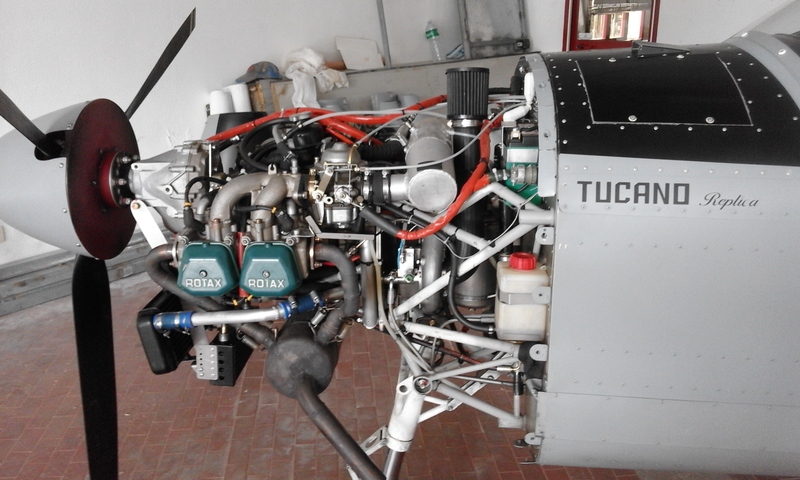 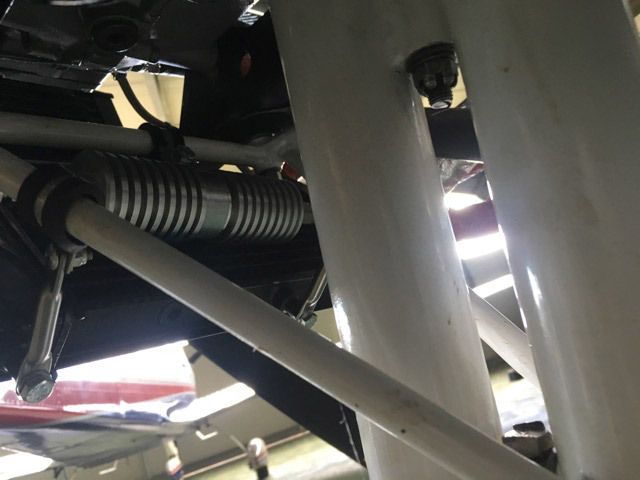 Thanks to the upper position of the fuel aspiration pipe for the electronic injection system, in the unlikely case of remaining without fuel during the fly, the pilot can change to the carburettor system – which has a pipe in lower position in the fuel tank- and by having spare 5 – 10 litres of fuel in the bottom of the tank (depending of the reserve) the pilot can safely land. 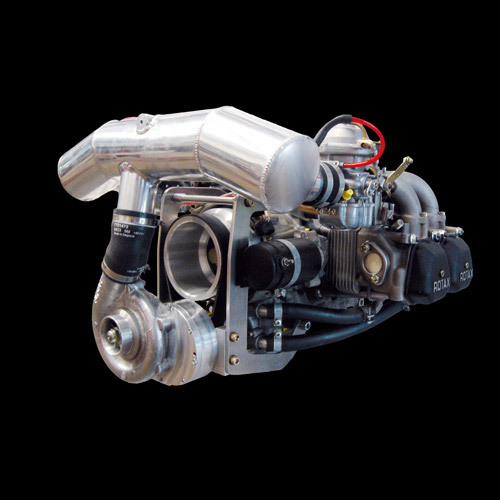 Stoichiometric ratio , always the best according to the atmospheric condition and automatically adjustable in function of the altitude. 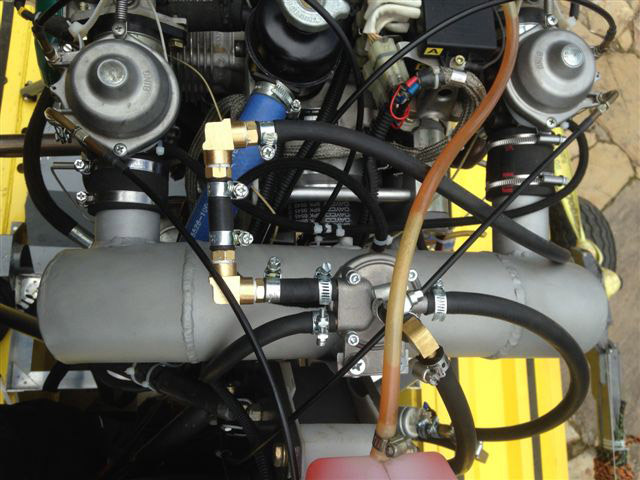 No risk of gas leakage in oil, during the stopover, without having to close other valves. 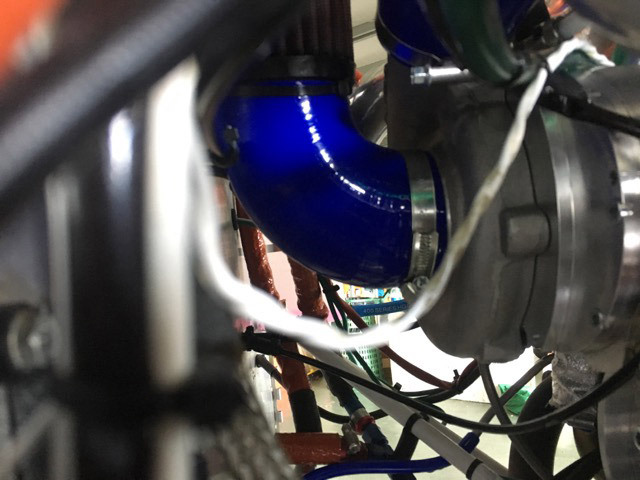 It is an advantage in terms of safety routine, as you know, forgetting to re-open any of the closed valves is a main reason of many accidents. 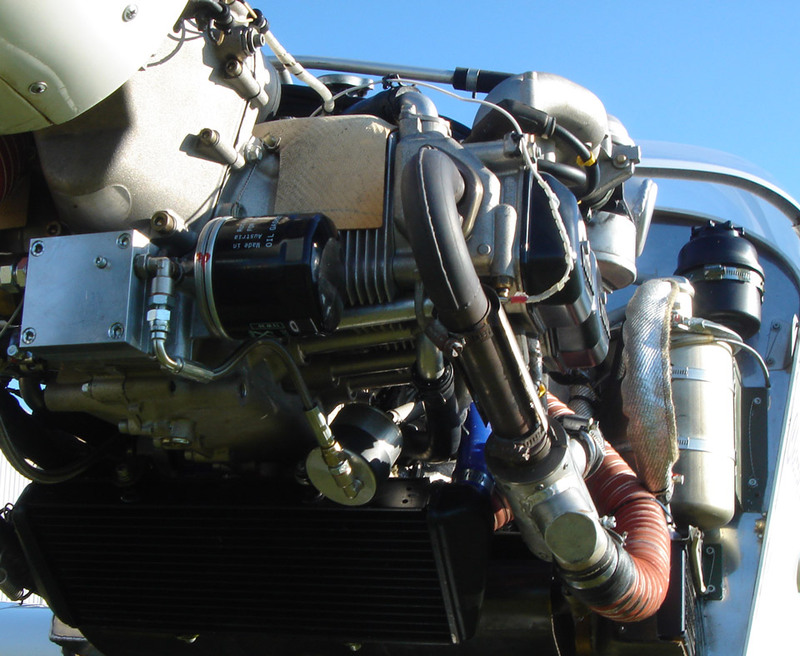 Availability of optional “dialogue” power \ dashboard, which in addition to displaying engine data can also record them. 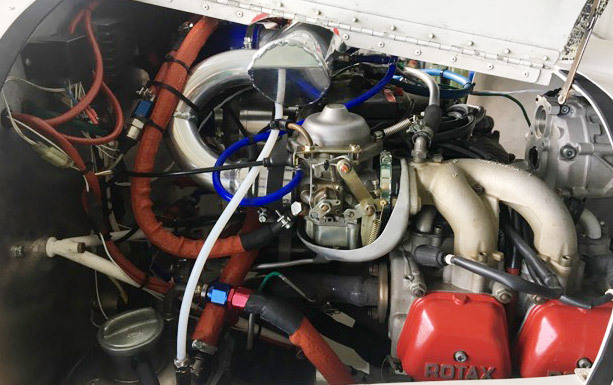 As preventive diagnosis made as remote – assistance – the pilot or maintenance worker could send the latest flight data (eg before a long trip) to FLYGAS for check-up evaluation and advise – OPTIONAL REMOTE CHECK-UP SERVICE. 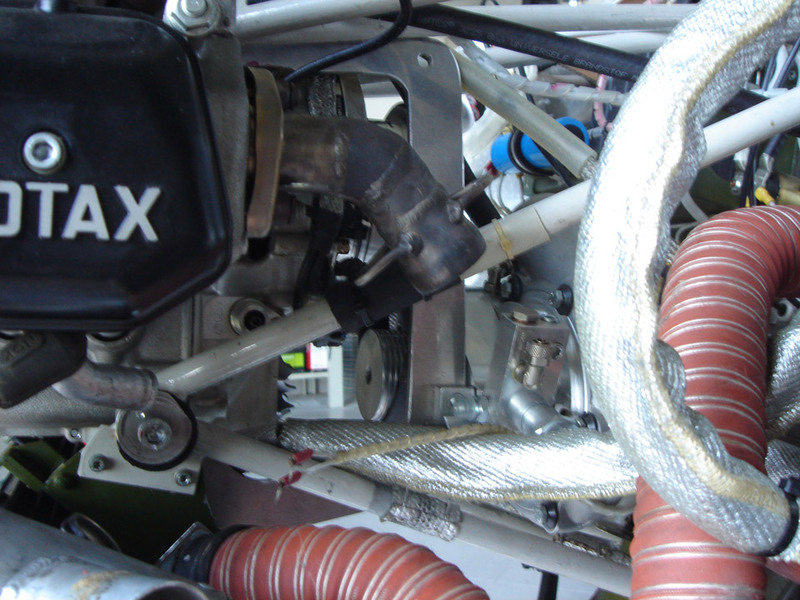 Optional potentiometer in the chokpit , which will enable the pilot to balance any slight variation of stoichiometric ratio in real time during the flight to optimize fuel consumption according to the circumstances. 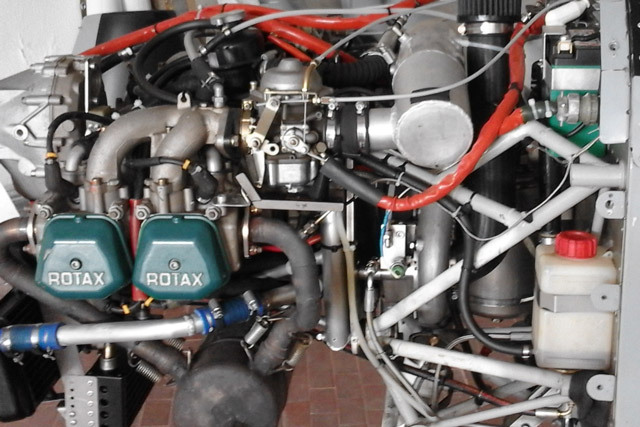 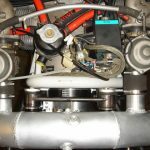 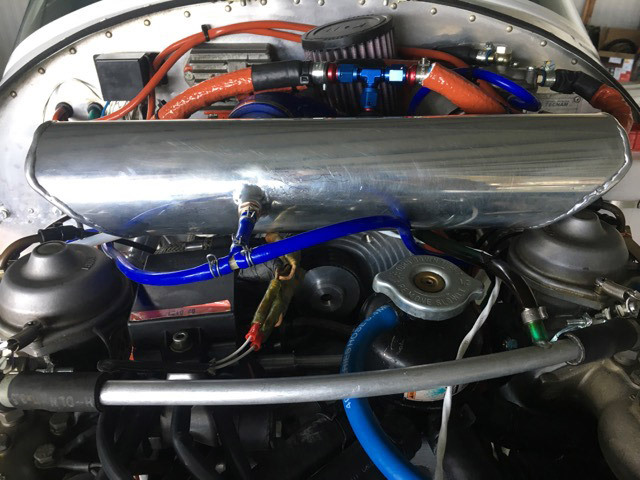 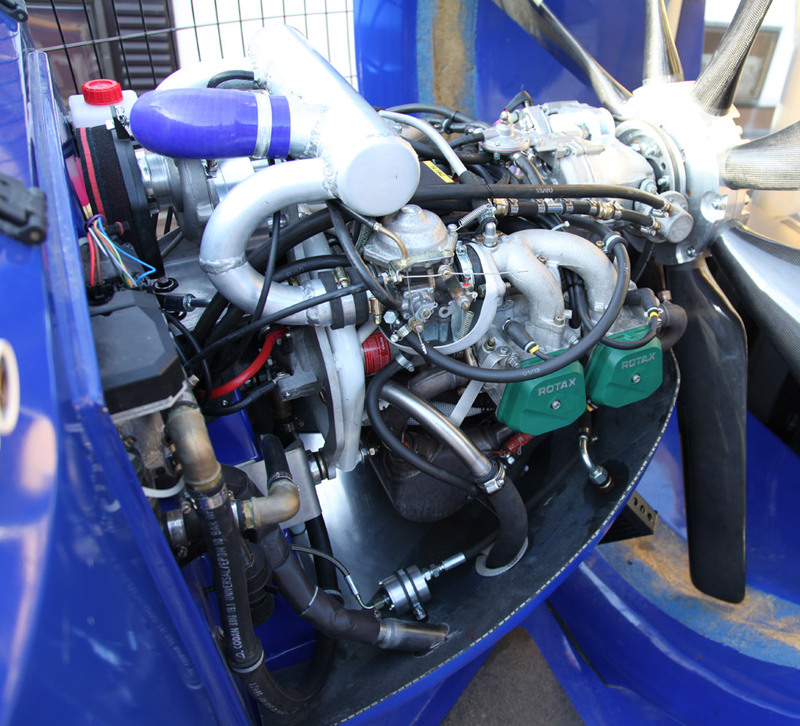 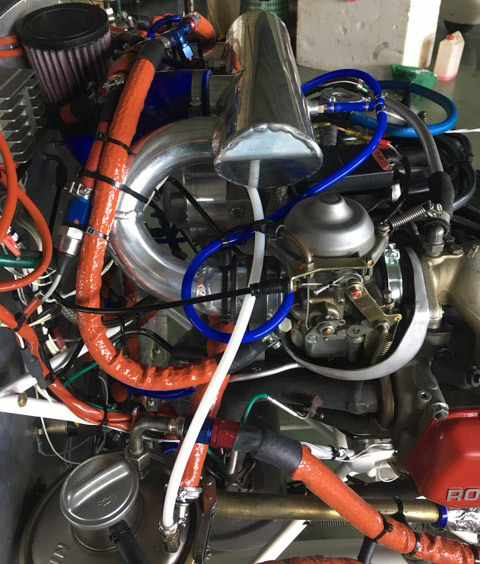 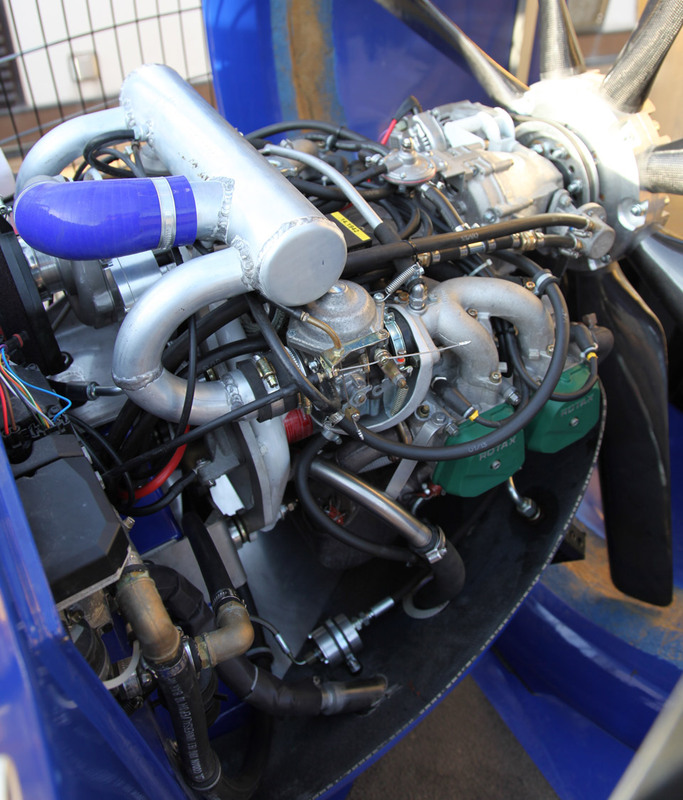 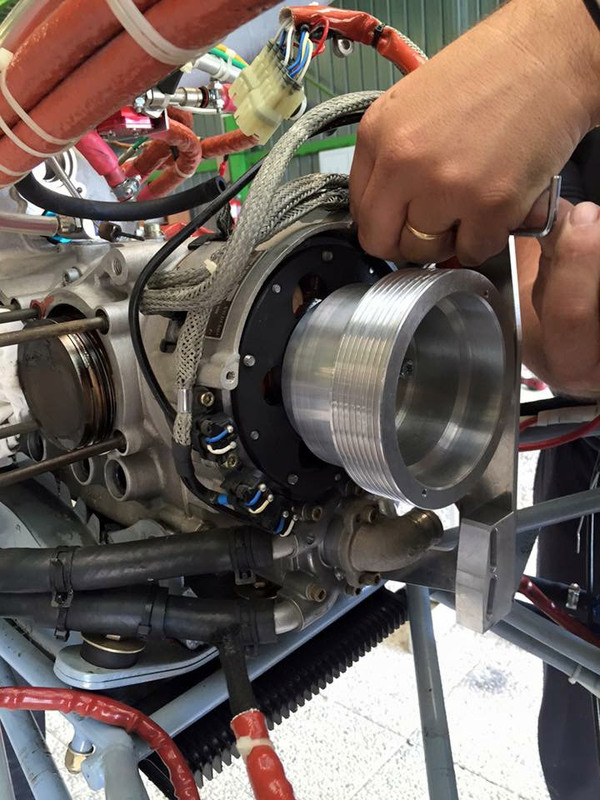 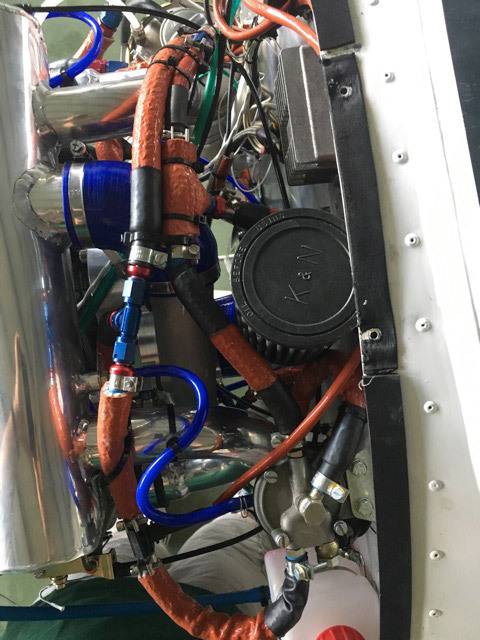 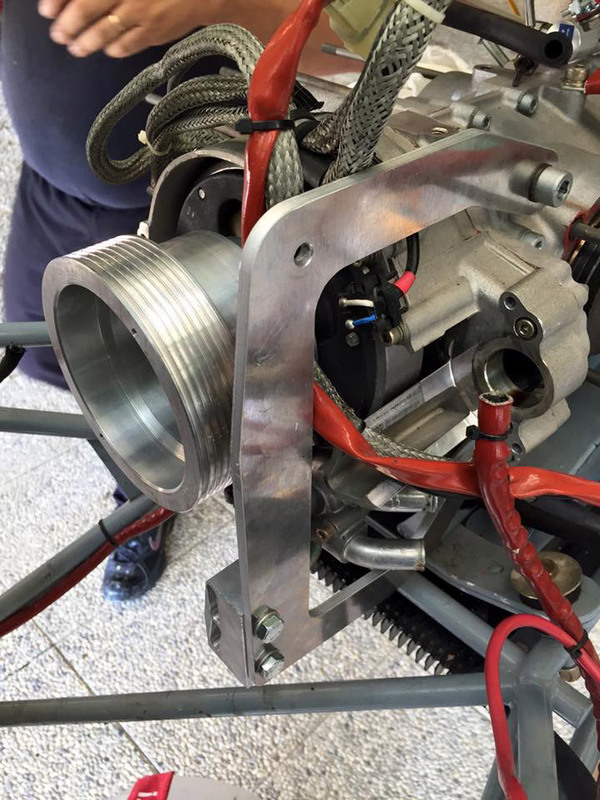 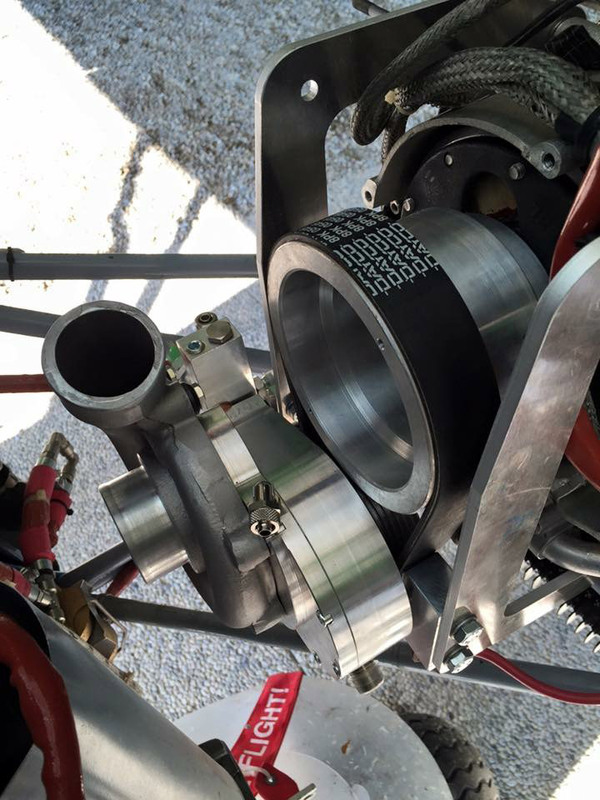 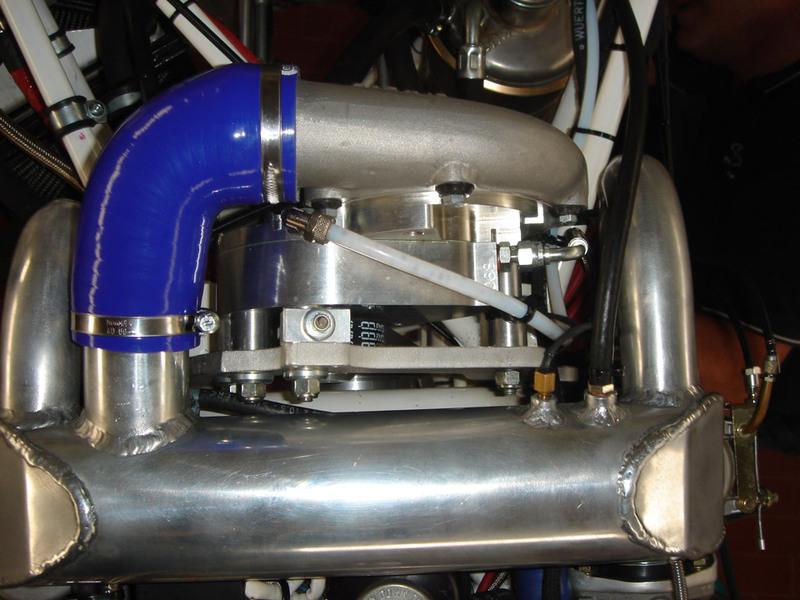 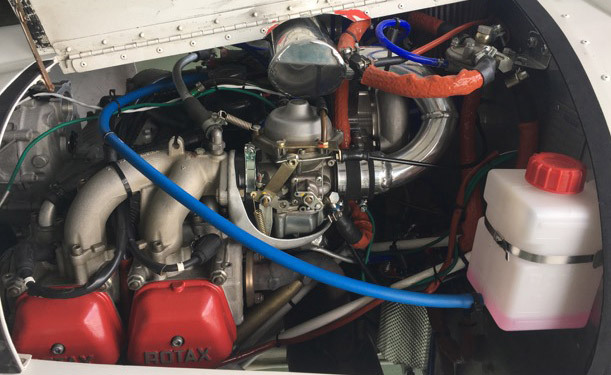 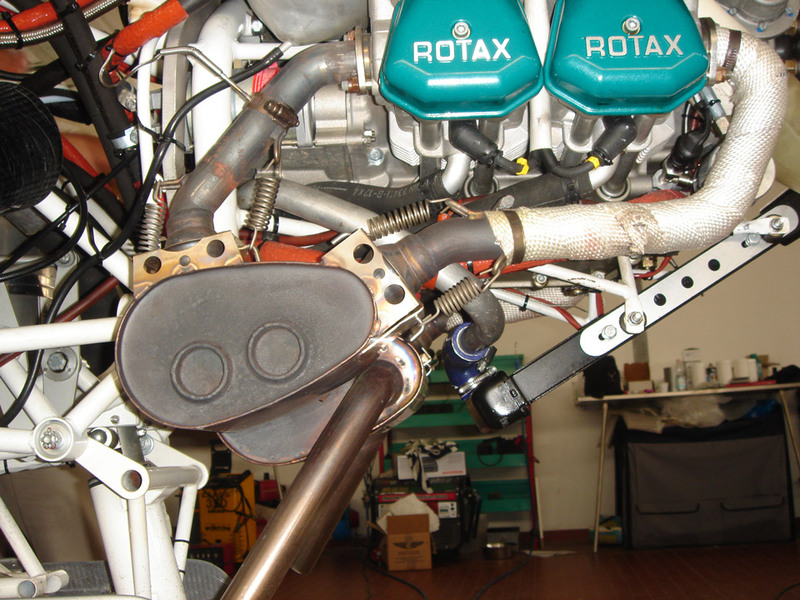 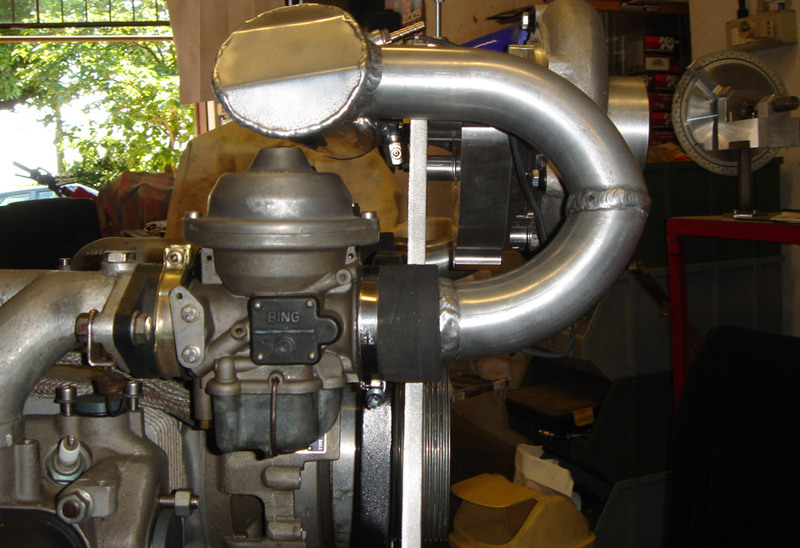 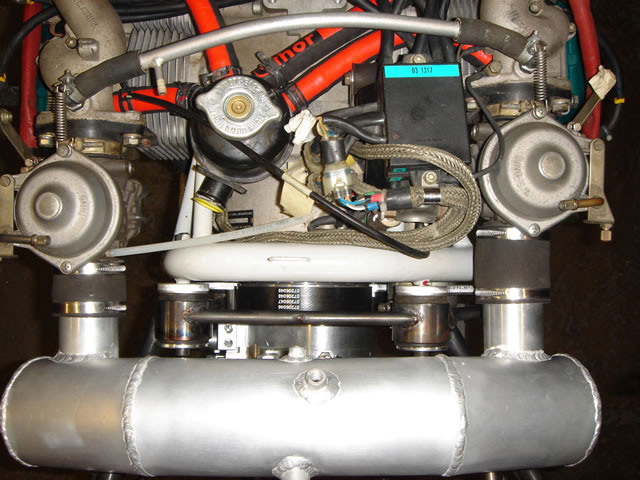 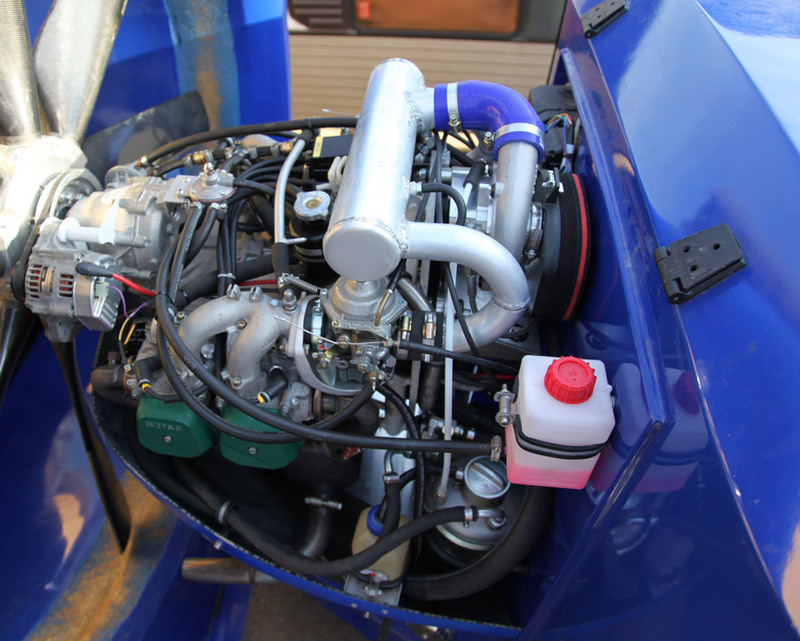 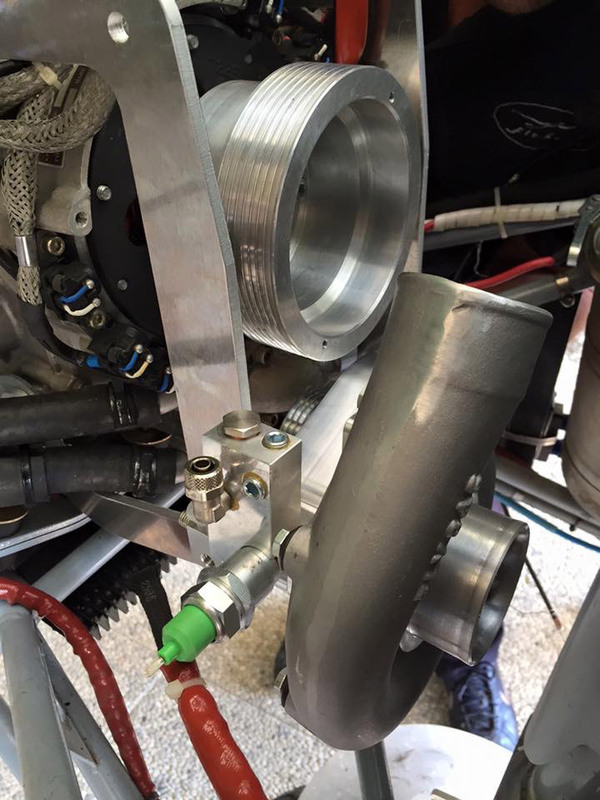 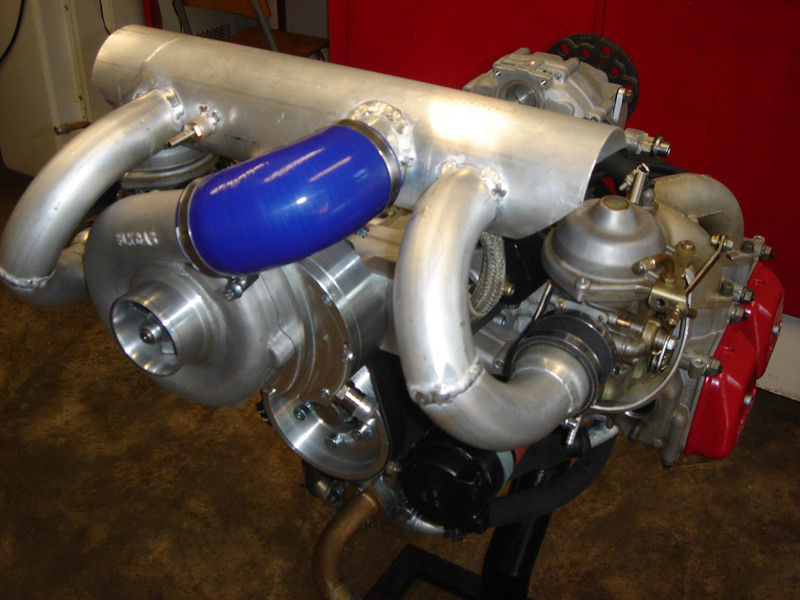 By installation onto Rotax 914 turbo, you could eliminate the problem of loss of power caused by the central command waste-gate in relation to the (frequent) air temperature excess in the airbox – up to 90 °C. 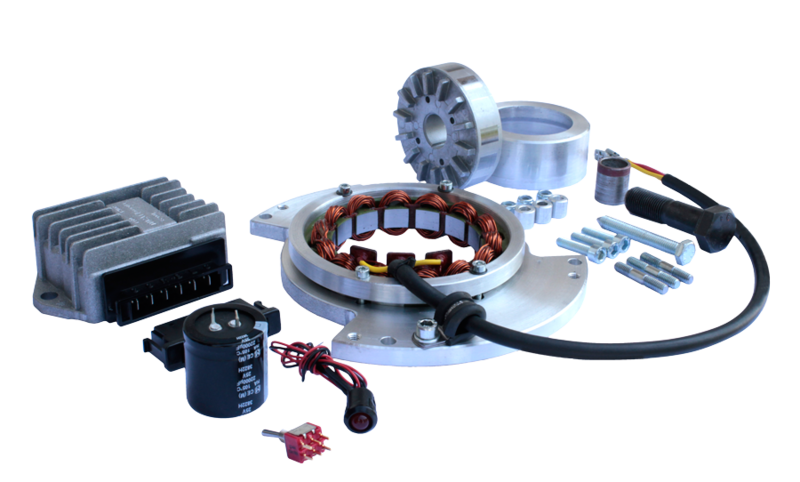 Integration of all electrical switches, so that it is feasible to activate them at once. 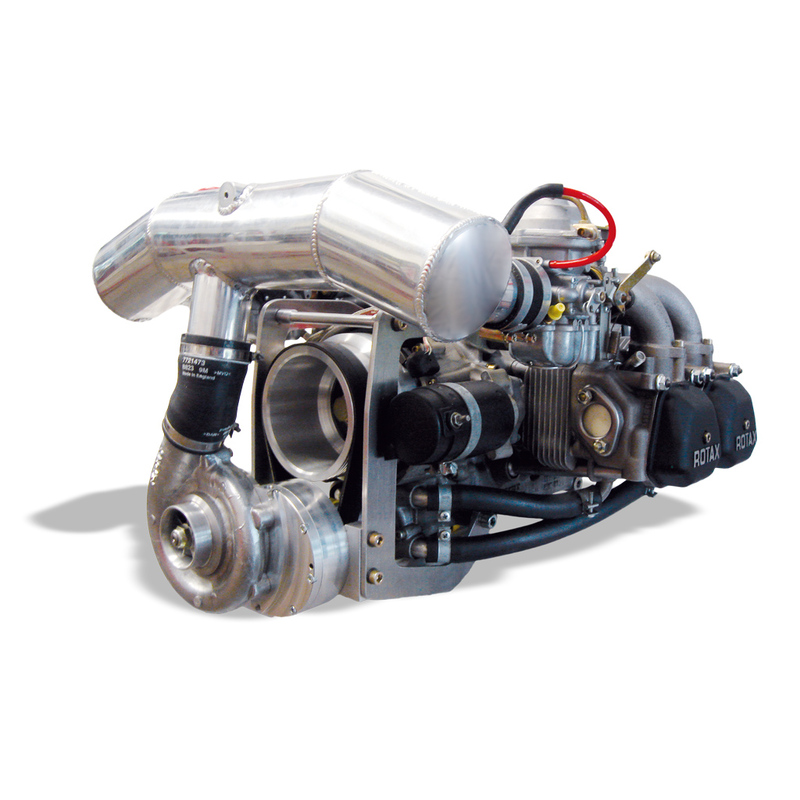 (Electric pumps, 12 volt ECU, starter motor). 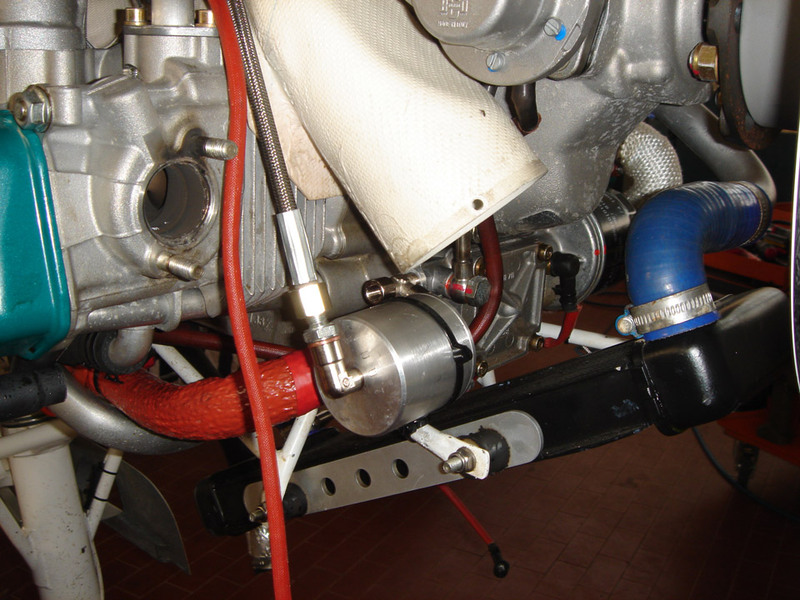 Ability to reverse the flight, (of course, with its guidelines).